Leave Beverley on A1035 and join A165 towards Bridlington. At roundabout at the end of the dual carriageway turn left, signposted Brandesburton and stay on this road. 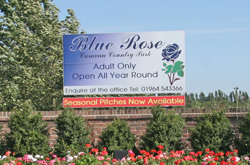 Blue Rose Park will be on your left some way down this road. 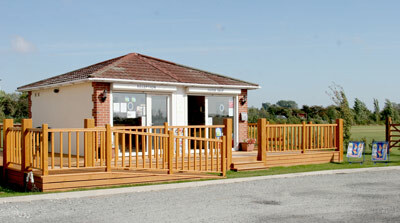 Nightly costs: from £14.00 per night for two people, outfit and awning in low season. This is a well maintained quality park exclusively for adults. 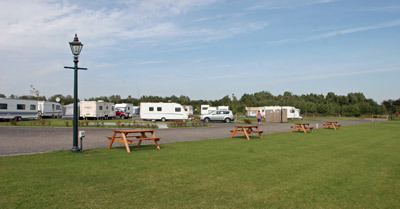 Opened in 2008 this family owned park has 58 pitches, all with water taps, grey water and 10amp electricity. 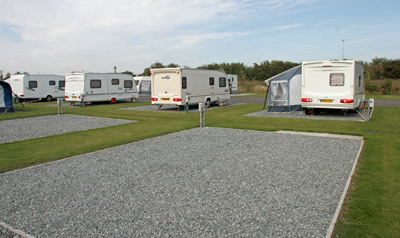 The generously sized pitches have an area of hard standing surrounded by grass. Facilities include a picnic area, and a small shop selling basic essentials, but the village has a wider range of shops and Beverley is a major market town nearby. 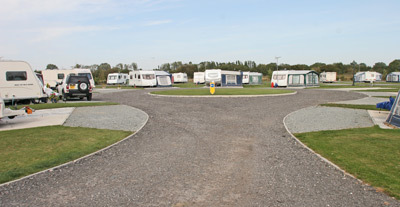 The park has been developed to a very high standard and further developments will follow in due course. 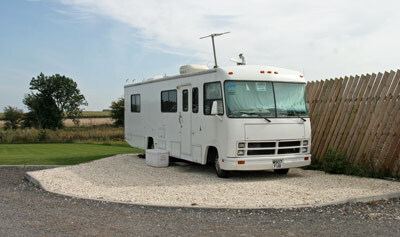 A motorhome service point was due to be built. If you have a pet, please check before you arrive that pets are welcome, as the owner told us that he is contemplating a pet free park. We stayed here twice last year (our first year as caravaners!!) we liked this site loved the fish n chip shop in Brandesburton and the cafe on the Hornsea Mere for breakfast was fantastic and they took dogs! 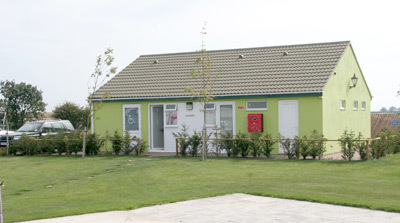 I’m shocked that they are considering non dog policy as it was a lovely site, super clean toilets/shower friendly owner/manager who didn’t push us off on our last days he let us stay until late afternoon as no one else was coming in on our pitch – I will be diassapointed if it does adopt that policy and a bit foolish in my humble opinion as you are already halving your market with adults only then to halve it again with no dogs ?? It’s a shame as really nice site and did intend to use again this year, but there are plenty of other sites in this area who will take us and our little fluffy boy! Hi Julie, It’s a great shame if they do, but like you say, there are plenty of other options for you! Happy touring!